Proper equipment, trained personnel and fast response in case of emergency situations is the best way to ensure safety and security for the people in any region of Europe including on its external borders with Ukraine and Republic of Moldova. Accidents and disasters are part of society’s everyday challenges. Medical care in emergency situations is a field which will never stop functioning, a field that is in favour of people and has to be permanently enhanced and modernised. Competent authorities from Romania (General Inspectorate for Emergency Situation and General Inspectorate of Aviation) and Republic of Moldova (Emergency Situations Service) tackled these issues by creating a strong partnership through the Large Scale Project “Improvement of the response capacity of Mobile Emergency Service for Resuscitation and Extrication (SMURD) through a joint integrated system for efficient monitoring and disaster consequences mitigation, in regard to the population in the common boundaries Romania, Ukraine and Republic of Moldova“. This project with a grant value of € 6,000,000 facilitated the integration across borders of the emergency medical services, resuscitation and extrication. Twelve Joint Procedures and Plans for aerial missions, communication, intervention, etc. have been jointly agreed by both countries. Furthermore, common actions were undertaken and new communication devices – special vehicles for first-aid aid in urban and rural areas, evacuation vehicles for intervention in disasters, special vehicles for decontamination, medical assistance and extrication, a mobile laboratory and one helicopter – have been purchased and are used for medical services addressed to the people living in the programme area. This is a project for saving lives and clear evidence that response in emergency situations and medical care has no borders. As one of the participants in common training exercises said, “The more efficient and rapid we are, the more likely we are to be effective in saving lives. Borders should not represent any barrier”. 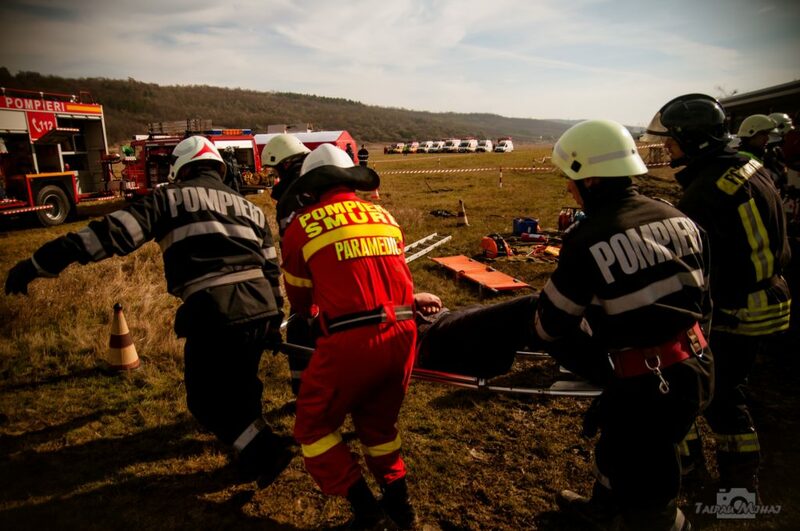 Following this best practice example, more common initiatives aiming to increase the response in the case of emergency situations could be developed within the dedicated priorities settled by the 2014-2020 ENI programmes involving the three countries.